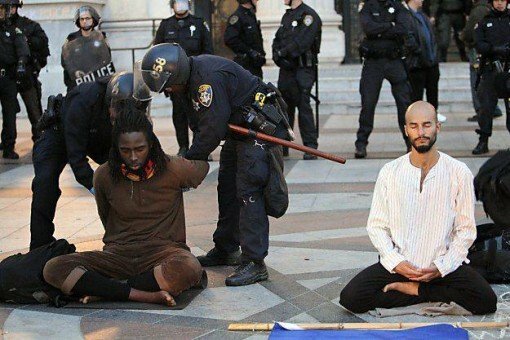 Tom Heneghan: Rasanath Das, an ex-investment banker turned Hindu monk, was spending recent Sunday afternoons leading Occupy Wall Street protesters in meditation until police cleared their camp at New York’s Zuccotti Park this week. The 32-year-old monk isn’t sure now where his next session will be. He’ll keep following the protesters to lead meditation, though, convinced they will only roll back the inequality around them if they find equanimity deep inside. 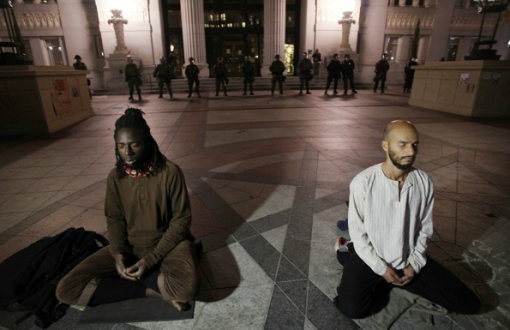 Protestors meditate as police move in to arrest them at the Occupy Oakland encampment. 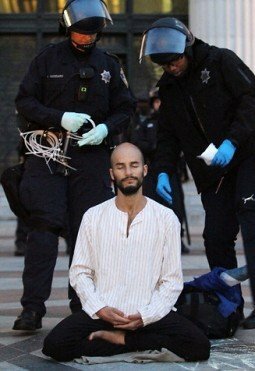 At least a dozen spiritual leaders were arrested in the evacuation of Occupy Oakland on Monday morning as they sat in a candlelit circle in front of the camp’s interfaith tent, according to Salon.com‘s Emily Loftis. They were among 32 people arrested by riot police. Charlie Smith: Yesterday’s Occupy Vancouver demonstration differed significantly from most protests held in front of the Vancouver Art Gallery. One of the most striking aspects was the lack of any hierarchy. The event opened with a speech outlining how people could give their consent for various activities. Later, I observed the crowd being asked if it would prefer to hear more speeches or go on a march through downtown Vancouver. Thanks to Maia Duerr and the follow-up comments on a post on her blog, the Jizo Chronicles, here’s a quick round-up of some of the recent posts that Buddhists have made on the Occupy Wall Street phenomenon. Nathan Thompson has post on “Occupy Minnesota: Zen Style” on his blog, Dangerous Harvests where he describes “coming out” as a Zen Buddhist at a peaceful protest. Oct 15: Occupy the Present Moment in solidarity with OWS. Where: Santa Fe, NM. Click here for more info. Oct 15: Occupy the Present Moment in solidarity with OWS. Where: Vancouver, BC For more info: Click here for more info. Oct 15: Meditation at the Occupy Vermont event. Where: Montpelier, VT For more info: Click here for more info. 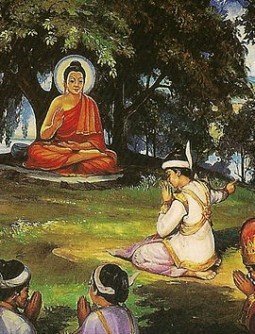 The Buddha’s concerns with politics — or at least those what found their way into his teachings and have been recorded — were very limited. Perhaps this isn’t surprising, since he lived at a time when kingdoms ruled by absolute monarchs were expanding their territory at the expense of clan-based republics and other kingdoms. The rise of monarchies was probably unstoppable, and there was little chance of any alternative for the foreseeable future. Robert Thurman, the Buddhist writer and Professor of Indo-Tibetan Buddhist Studies at Columbia University, gave a rousing address to the protestors at Occupy Wall Street, encouraging “cool heroes” (i.e. 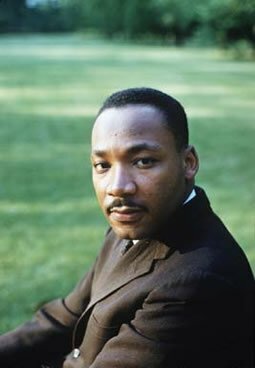 non-violent heroes) as opposed to “hot heroes” (those motivated by anger and hatred). The address is frequently very funny. The people who were assigned to repeat his words, in order to make them audible to the large crowd were often too busy laughing to be able to effectively relay Thurman’s message.